Atlantic parasol was designed by Litex Promo to meet the expectation of the most demanding customers, not satisfied with ordinary, classic advertising parasols. Taking into account the exceptional design of Atlantic parasol, the use of this product is especially effective for demanding customers who wish to associate their brand with premium shelf products and services on the highest level. 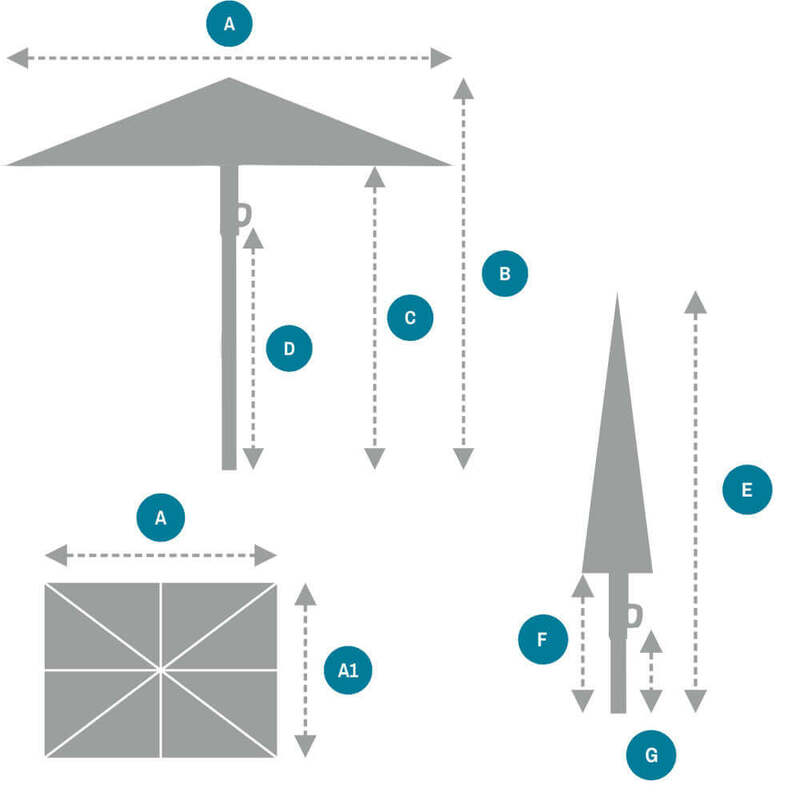 Atlantic parasol comes in three possible canopy shapes – octagonal, square and rectangular. Sizes vary from 3 to 5 meters and the square-shaped canopy line offers the greatest variety of them. Atlantic parasol’s frame is made of anodized aluminum, all in mysterious, interesting black colour. Polyester canopy in a special, dynamic shape, serves as a perfect space for branding and individualization of the product. Litex Promo offers printing any elements of brand’s visual identification, such as logo, advertising slogan and colours belonging to the brand’s identity using quality-guaranteeing printing technology – screen printing. Atlantic parasol by Litex Promo offers the finest possibility of boosting visibility in the relevant contexts, attracting the attention of the Customers. Thanks to the unique design of the parasol and it is obvious highest quality of manufacturing, those qualities are associated and transferred onto the brand itself, which contributes to its further building and boosting the sales. 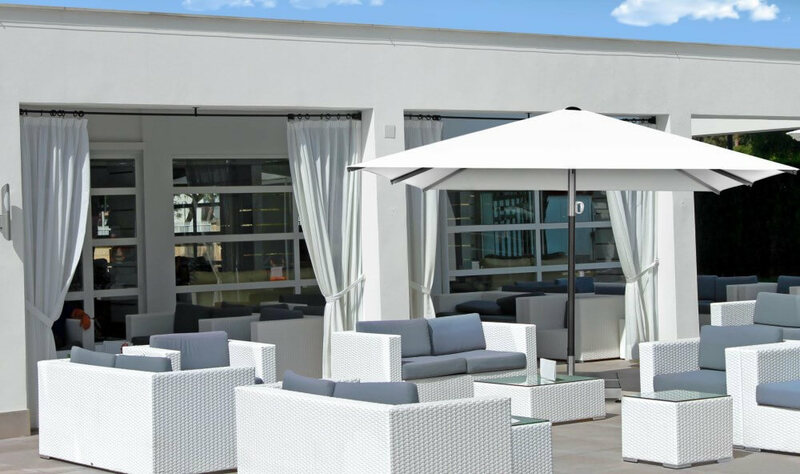 The Atlantic parasol is made of aluminum and stainless steel, which ensures its extraordinary resistance not only to the wind, but also to changing weather conditions. In extreme endurance tests in the aerodynamic tunnel of the Warsaw Institute of Aeronautics, an opened parasol resisted winds at speeds of over 100 km/h! Each parasol detail is made with great precision, bearing in mind the high quality of the final product. 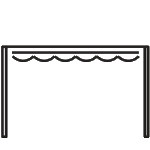 We strive to ensure that the elements of our parasol meet our customers' requirements. That is why it was made of durable components that are able to withstand various impacts. 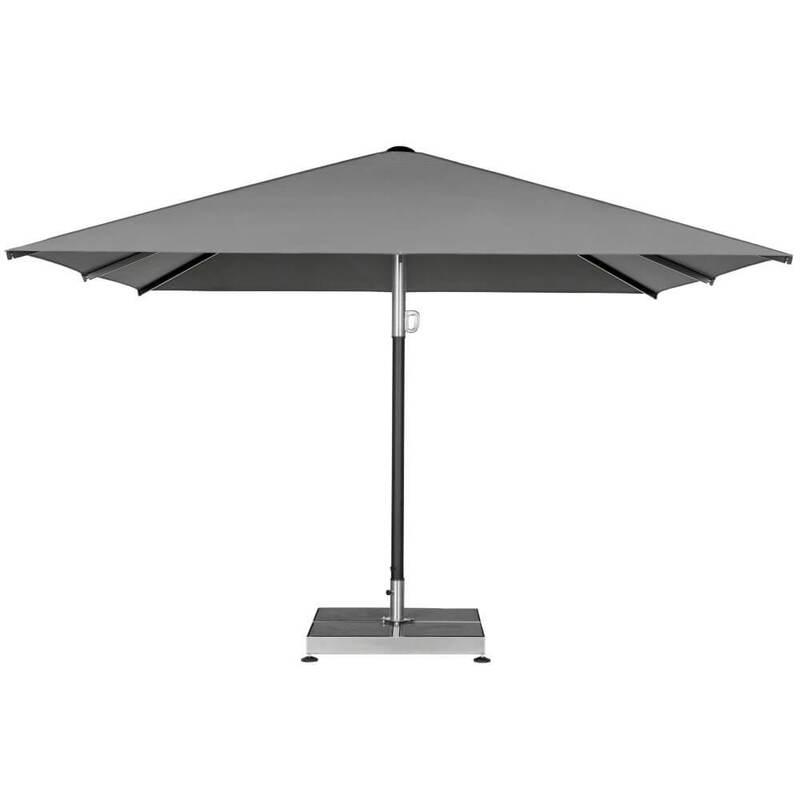 Strong, aluminum hinges and additional clippings make the Atlantic parasol exceptionally durable and extremely attractive. What is also worth noting, is the sheathing stretching system, unheard of in other parasols. For the Atlantic parasol sheathing we use acrylic and polyester fabrics. The Atlantic line combines not only a refined design but, above all, practicality. These parasols are designed for an easy use as well as for aesthetic looks – the looks that attract every connoisseur of a good taste. We also took care of the user's comfort after sunset. 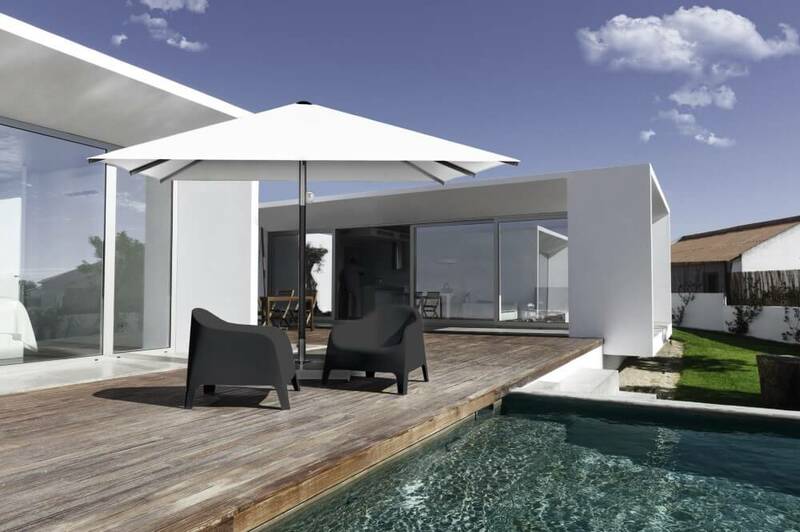 The Atlantic parasol can be equipped with illumination in different configurations. 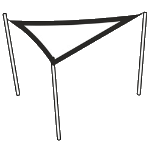 The parasol can be ordered with illumination mounted on its arms and supports, or only on selected elements, or completely without illumination. Our solutions allow you to create a unique ambience every night. Fitting the parasol stem to the base is very simple. 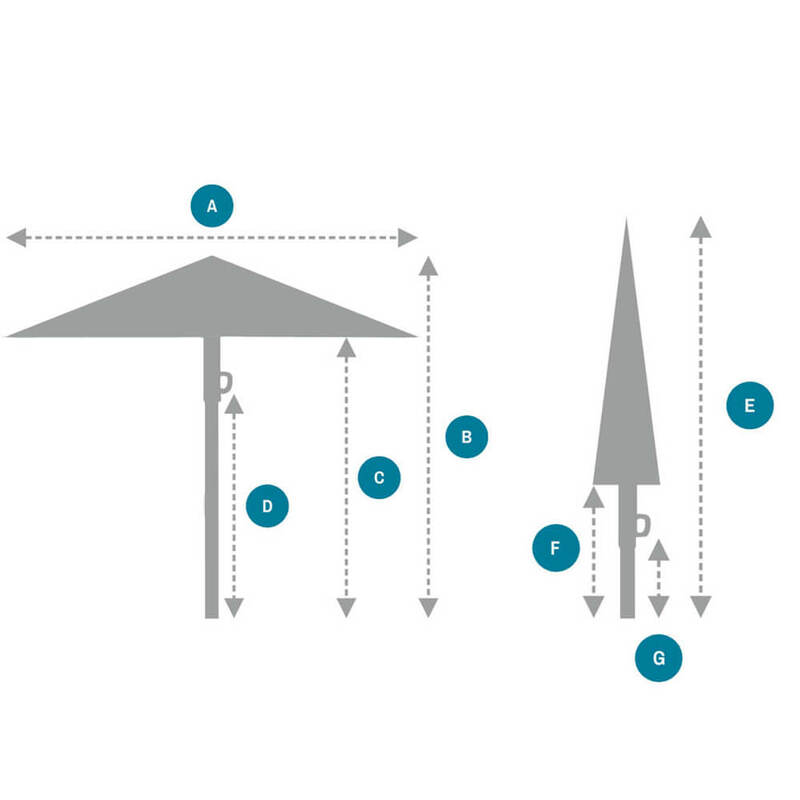 The mobile base has adjustable footings, allowing the parasol to be levelled on uneven terrain. The footing is adjusted even up to 40 mm. The Atlantic parasol is additionally equipped with a protective sheathing when folded. The sheathing perfectly protects your parasol from the changing weather conditions throughout the season. * It is also possible to fit the parasol to the base, embedded deep in the ground.